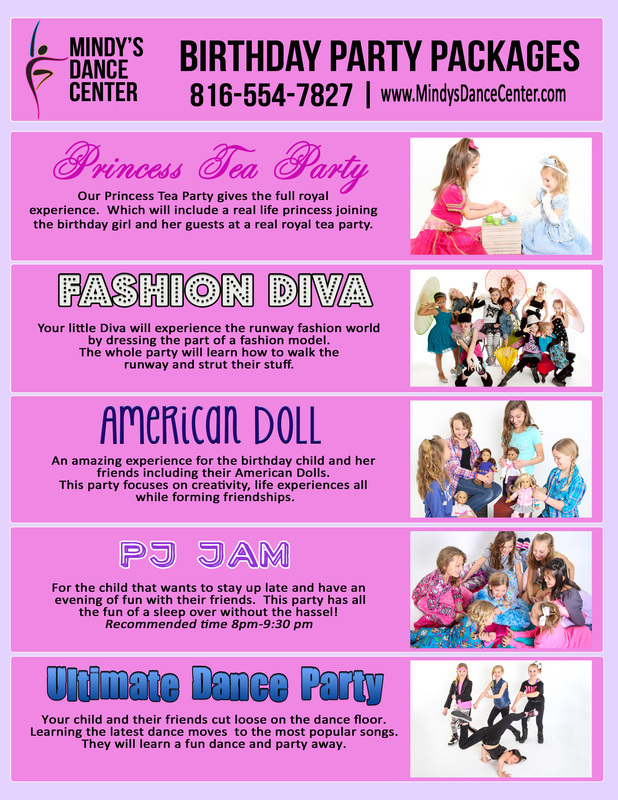 Here at Mindy's Dance Center, we’ll make sure your child and their guest have an extra special time for their Birthday Party! Our parties are fun for the kids and hassle-free for you. Our comfortable and clean facility makes the time you spend at our studio pleasant for your entire party. You can count on us to help make your Birthday Party a fun and memorable event.